Celebrate the thousands of service men and women stationed around San Diego during the Veterans Day festivities. Taking place throughout the week of the holiday, San Diego hosts tons of Veterans and military appreciation events due to the heavy presence of personnel and the US Naval Base on Coronado Island. The week of Veterans Day will be spent honoring the many active and inactive military servicemen and women through parades, activities, and military family friendly events. 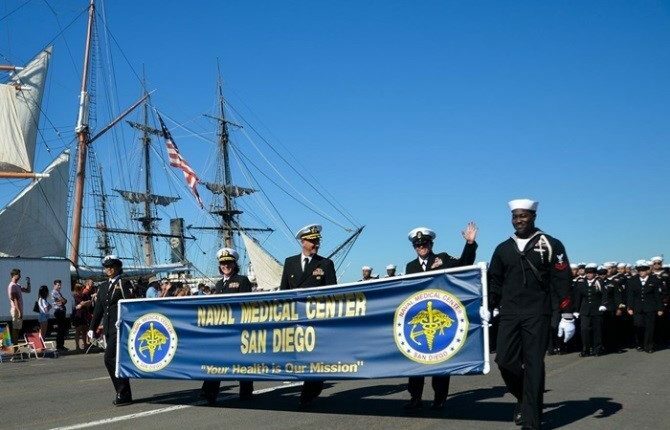 The parade, which will run through downtown San Diego to the USS Midway Museum, will feature over 4,000 stationed veterans, bands, floats, musical performances, and more! Check out the parade route here. Also, The Holiday Inn Bayside hosts more military reunions than any hotel in the area, so reach out to our staff to plan your reunion or event!